I've seen this video before of a DIY Star Trek Blue-ray phaser gun, but just came across it again and thought I'd share. 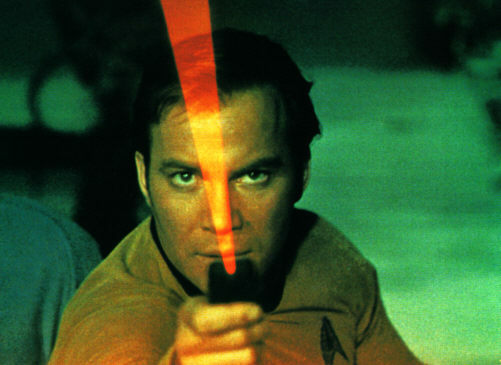 Of course, Trekkies will be quick to point out that the phaser beam in Star Trek was red not blue (see pic below), but stop your quibbling and build yourself one of these bad boys for less that $100. I've seen this video before of a DIY Star Trek Blue-ray phaser gun, but just came across it again and thought I'd share. Of course, Trekkies will be quick to point out that the phaser beam in Star Trek was red not blue (see pic below), but stop your quibbling and build yourself one of these bad boys for less that \$100.